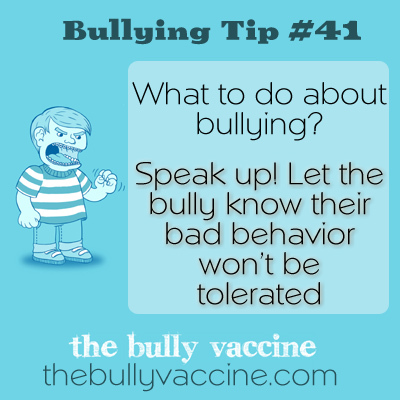 Bullying tip: 41: What to do if you witness someone being bullied. Speak up! Let the bully know their bad behavior won’t be tolerated anymore. Bystanders wield a tremendous amount of power over bullies. All you have to do is have the courage to stand up to a bully and tell them that what they are doing is wrong and encourage others to do the same.